Undersong places you at the meeting point between threads of music. Voices weave amongst you and around the space, from a whispered duet to a screaming mob. Produced by Verity Standen Projects in association with MAYK. Commissioned by MAYK, Bristol Old Vic and Ovalhouse. Supported using public funding by Arts Council England. Previous development supported by Complicite, Bristol Old Vic Ferment, Shoreditch Town Hall and The Point Eastleigh. 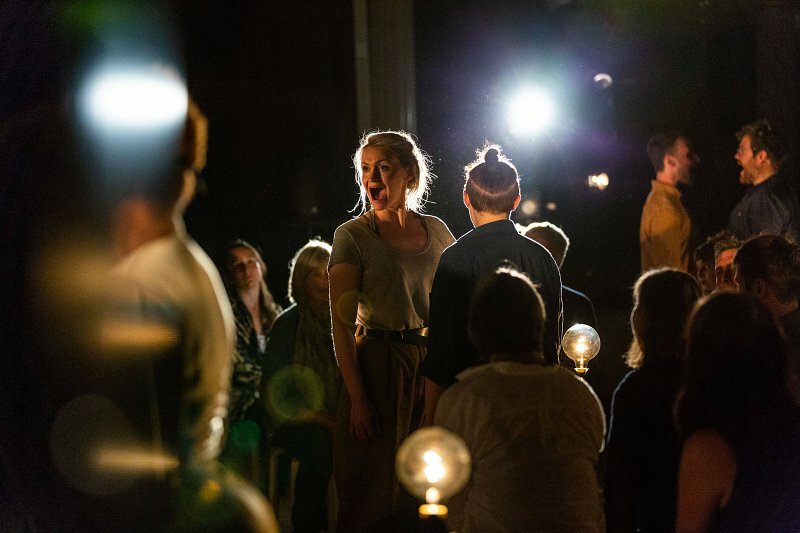 Image: Undersong in performance at St George’s Bristol as part of Mayfest 2018, photo by Paul Blakemore. Video: Undersong Trailer by Paul Blakemore.